Source: John Henry Newman, Hymni Ecclesiae (Londini: Alexandrum Macmillan, 1865), pp. 54-55. Music: Thomas Helmore and Thomas Morley, eds., Music of the Appendix to the Hymnal Noted. (Novello, Ewer & Co., No Date, ca. 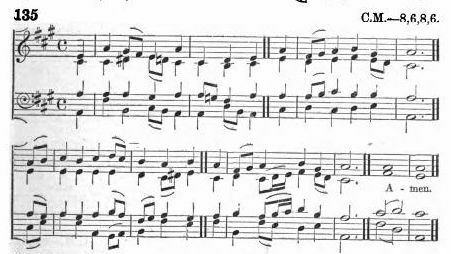 1870), Tune #135. "The Son Of Man From Jordan Rose," by Jackson Mason & the compilers of Hymns Ancient and Modern. "He Rises From The Wave," Isaac Williams, ed., Hymns translated from the Parisian Breviary (1839), Page 345. "The waters cleanse not Thee, O Lord !," Lauda Syon: Ancient Latin Hymns of the English and other Churches (1857), Page 115.